A short time ago we were going to get the first ever found footage Friday The 13th movie. This idea came at a time when the only reason for doing found footage was because of the small budget and almost guaranteed box office returns. However, due to fan outcry the idea was scrapped and now Friday the 13th sits in development hell. "There are certain restrictions to found footage; just the fact that you’re locked into a single perspective almost makes the slasher formula impossible, because characters tend to wander off on their own all the time and get knocked off. Also, part of what defines some of the greatest slashers is the additional perspective. That was a really fun obstacle to tackle, and we ended up structuring it a little bit more like a monster movie. All the mythos surrounding Jason Voorhees opened up a lot of possibilities, and for a moment in time, we had a story that took place in the ’80s, which worked with the found-footage conceit. 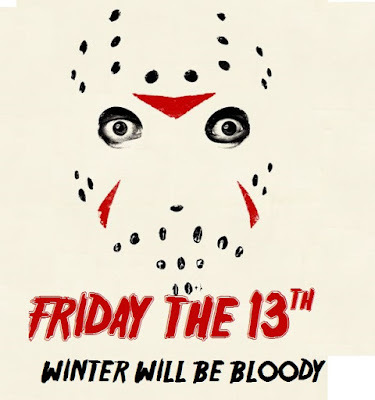 It was a return to form in a lot of ways…"
Well, as the snow fell outside my wheels began to spin, could you make a found footage Friday the 13th movie and set it in the winter? Would it be good and would it work? I don't have the answers to those questions, but I do have here a 2 minute short that shows what a found footage Friday the 13th set in the winter might look like. Does it work? Only you can decide that.